This Easter, we welcomed our latest work placement Tamara, who has put together some lessons in what they don’t tell you before you graduate and what she’s learnt since studying at university! If you are considering a role in marketing or consumer pr, her tips are worth a read! For the past three years, I have been studying Business Management at the University of Reading and will be soon graduating, which means finally flying the nest and settling down into a full-time job. Studying at university has had its ups and downs for me, and as much as I’d love to say it’s been an amazing experience, really, it has been very challenging and daunting. So, I’d like to talk about what they don’t tell you before you graduate and what I’ve learnt since studying at university. Beginning my first-year was quite exciting for me and I was feeling optimistic about meeting new people and experiencing uni-life. I chose Business Management after studying it at GCSE and A-levels, and decided to take it further. It’s safe to say that I was definitely quite naive in my first-year at uni. I really believed that with a degree on my back, I could just walk into a full-time job come graduation. After applying for countless marketing internships and part-time positions throughout second-year and being rejected again and again, it finally hit home that experience is key. 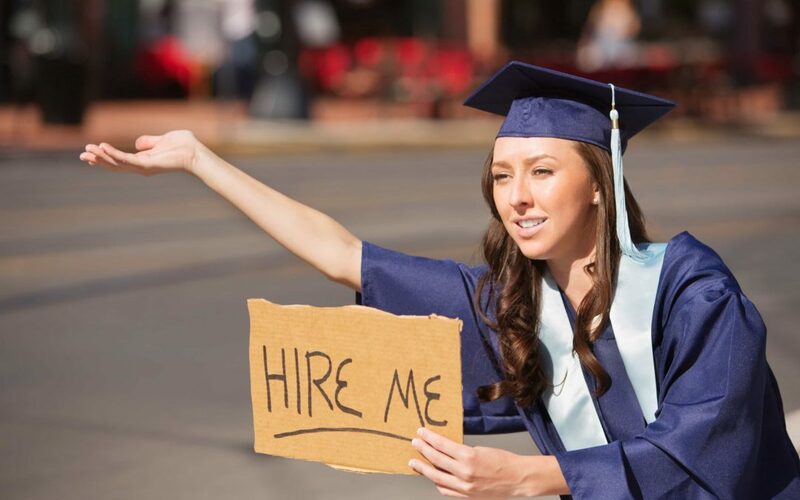 Everyone has a degree, it’s not unique anymore, so getting relevant work experience is important, in order to stand out. This is lesson number one. Lesson number two: Join a society or get a part-time job. Being able to balance uni and a job or being part of a society shows that you are motivated and proactive. Spend your time wisely because it will reflect on your character to employers. Lesson number three: Join LinkedIn and keep it updated. I’d never used LinkedIn until my second-year at uni and now I can’t imagine not having a LinkedIn account. It’s a great way to connect with employers and find professional jobs. Nowadays, it is vital to have a professional online presence, so make an account and update it with your experience and skills! You may be more likely to get a graduate job with a LinkedIn account, so make good use of all of the tools accessible to you. Lesson number four: Keep an open mind. Graduating with a degree is a great achievement and will take you far, however you will still have to climb the ladder and work your way up. Statistics from the ONS website show that in 2017, 49% of recent graduates were working in a non-graduate role such as a receptionist or a sales assistant. Don’t expect too much quickly; you will progress into your ideal position and if it isn’t available to you straight after graduation, don’t let it discourage you because you will get there! Lesson number five: Be prepared for the mental transition from uni into work. Working Monday-Friday from 9-5 is the complete opposite of going into uni for a few hours a week. You’ll get a sense of this if completing work experience or a placement (WHICH IS KEY). Getting into a work routine is difficult for the first few weeks and can be draining, but you will get used to it. So use your time at uni wisely, because your three years will be over before you know it. I can’t stress enough about getting work experience because it is so valuable and will help you decide the type of career you want to go into. I am so grateful to Escapade for giving me the opportunity to work with them for the week and am now considering a role within PR as well as marketing. Our consumer lifestyle PR team specialise in connecting everyday brands with everyday people across four core sectors; Consumer Lifestyle PR, Food & Drink PR, Consumer Technology PR and Sport, Health & Wellbeing PR. More information on these areas of knowledge can be found at www.escapadepr.com/about-us.